The National Portrait Gallery was inaugurated in 1856 and houses an enormous collection of portraits of important historic British figures. 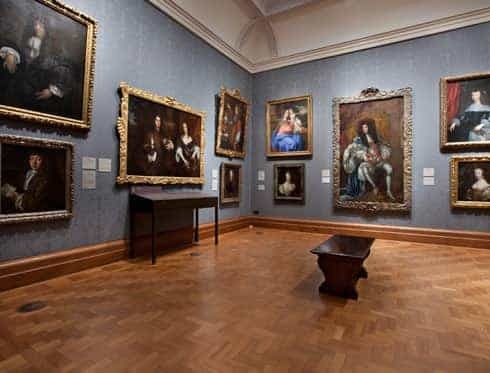 Among some of the subject in the paintings are great writers such as William Shakespeare and Rudyard Kipling, as well as kings, queens and well-known people from today. One of the most famous images is the Chandos Portrait of William Shakespeare. The gallery also has a collection of photographs and is said to have one of the best rooftop restaurants in the whole of London. The gallery moved to its current location at the northern end of Trafalgar Square in 1896.